Born in Ringwood, Hampshire in 1934, Ben spent his formative years learning farming and general agriculture, which interested him at the time. At the age of 18, he enlisted into the Grenadier Guards and saw ceremonial duties at Buckingham Palace and Windsor Castle, as well as having the honour of street lining for the Queen's Coronation. After leaving the Regiment, Ben decided not to go back into agriculture but had various occupations, such as helping to train elephants in a circus, working for a bakery, warehouse management, and finally property management, until he retired in April 2001. Since his retirement, Ben and his wife Juliette have been busy settling in the Isle of Bute (Scotland) and taking time to enjoy their motorhome. Ben joined the Clan Chisholm Society in 1977, after marrying into the Chisholm Clan in 1976. Encouraged by his wife Juliette to take an active part over the years, Ben served as acting Secretary & Treasurer for the Edinburgh Branch, and later served as Editor of the Clan Journal from 1984 to 1996. 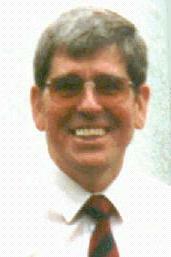 In September 2001, Ben had the honour to become Branch Chairman for the newly created UK Branch.